An R.E.O. stands for Real Estate Owned (by a bank or lending institution) it is any property acquired by a lending agency, usually a bank. Typically a property that has gone into default is put up for sale at a Trustees auction and if the property fails to sell they will become bank-owned. The minimum bid at a foreclosure auction is usually equal to the amount of the outstanding loan plus accrued interest and any fees associated with the foreclosure sale. When the bank acquires a home through foreclosure (becoming an asset) it will go through the process of trying to sell the property on its own. In an effort to make the property more appealing to buyers, the bank will try to remove some of the liens and fix any apparent problems then offer the property for sale on the open market. Real estate investors often market foreclosed properties if the banks don’t have any interest in keeping them because they can sell them for a discount compared to the market values for similar non-foreclosed homes. Foreclosure listings in Lake Tahoe are priced well below the current market. 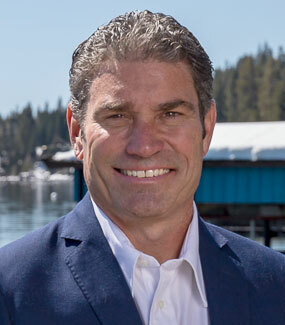 These bank owned property listings are a wonderful way to invest in Lake Tahoe real estate. When buying foreclosed real estate, most buyers are concerned that a bank owned property transaction is far different from buying a conventional piece of real estate. When, in fact, buying a bank owned property (REO) is not too much different. Most banks sell their REO’s in a “as is” condition, without the benefit of doing any sellers repairs. In terms of disclosures given to the buyer, most bank owned properties do not provide any information pertaining to the overall condition of the home- there are two reasons why: 1. The bank knows very little if anything about the property and 2. Banks are not required by law to disclose any information on a standard REO sale. If a buyer needs to obtain financing for a REO purchase it is possible, however, most banks will not lend on the same property they foreclosed on. Some banks such as Countrywide Home Loans will finance a purchase of their REO listings for a qualified buyer. Not all foreclosures are the same, but these basic rules will be helpful guidelines.